BIM, in a 3D world, acts as a glue to hold design and construction together. There are many firms who still don’t have much idea what to do to make BIM project successful. 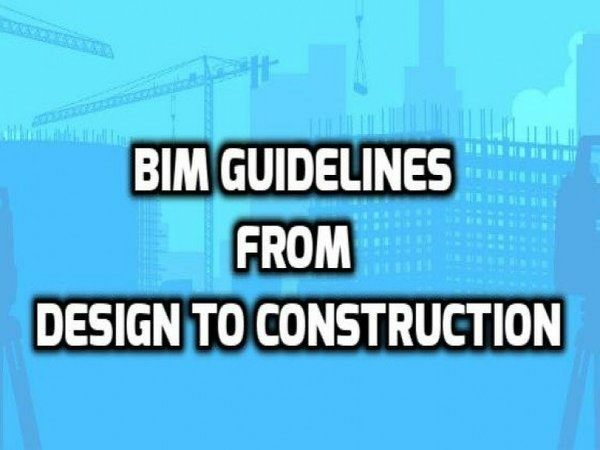 This article is a guideline for such firms, as it details the steps that a construction firm has to follow from design through construction using BIM. The process of using BIM models is a lengthy one that leads up to and through construction. Proper software and employees are required to do this process effectively. Revit Architecture, MEP and structural as well as 3D Studio Max, Navisworks and AutoCAD are the software’s that support this process. It is in the predesign stage that we decide, whether BIM is used in the project. Once use of BIM Modeling guidelines is approved, the architect starts to work on the schematic model. He either uses masses or real elements in a BIM environment. The architect will give a presentation to the owner, after completing the preparation of schematic architectural model. The presentation requires a walkthrough or rendering. The software that helps in this task is Studio Max, in conjunction with Revit. In this stage, the owner can put forward his suggestions on the design. The model enters the design phase after necessary changes are made. The role of scheduling (4D) and estimating (5D) starts during the schematic design stage. It is the duty of scheduling to make sure that the building construction is completed within the allotted time. Estimating should ensure that they track the cost of the project constantly and systematically. Proper set up of BIM models from the starting stage is necessary for getting appropriate scheduling and estimation. For scheduling, the model of the building should be in mind, while the model is built. I.e. each floor of the building should be modeled in the order they are going to be poured. So, the Navisworks can schedule correctly. The parameters of the construction project should be added to the model in estimating. Trying and counting all elements of a project from a 2D plan is a laborious task for estimating. But BIM enables the collaborative effort of the design and construction process. Collaboration is the key element in the detailed design. A compulsory weekly meeting including the architect, engineer, project manager, estimator, scheduler and construction manager takes place to make sure that everybody follows the process at the same pace. Interference checks and coordination reviews are done weekly basis at this stage of design process. Even though it is a mandatory step to follow, most of the firms are not aware of the benefits of collaborative tools provided by BIM. Firms think that they get enough time to detect clash and run interference checks. But actually what happened is that they waste their time and money by fixing errors on the site. Actually, with the proper use of collaboration tools, they could have been detecting the clashes in the design phase, is they spend some time in the initial stage. Some of the coordinated processes that make your BIM model more efficient are scheduling, sections, elevations, and walkthroughs. It is sure that proper use of them will help you save time and money. Ownership of elements is another significant factor. Ownership of an element means the discipline that originally modeled an element. It is the responsibility of the owner of an element to pay extra attention to the coordination of that element. It is always advised to model every element type only once, as multiple instances of the same element stretched across disciplines will create a headache for coordination and collaboration between models. Once the design is finished, construction starts. The construction manager and field superintendent will work together with the design team. They check whether the design intent is followed and run their own clash detections on all models. The Navisworks monitoring and workflow tools help to report the identified problems and to track them through resolution. If BIM is used early in the design stage, construction can be made easier. BIM creates a solid link between design and construction that makes revolutionary changes in the industry.